You’ll be the cat’s pajamas when you wear these precious kitties. Not only are they cute, they are quite versatile as well. These 1.96mm thick rings have an internal diameter of 15mm. The tail is ideal for 14g (1.6mm) -12g (2.0mm) piercing, as the tail ranges in thickness from 1.6mm to 2.0mm. Have larger gauges? Not a problem you can still wear these precious kitties inside tunnels. Price per 1, order 2 if a pair is needed. 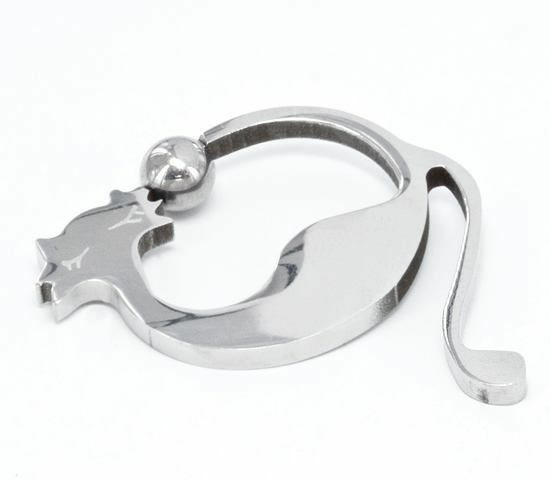 These are the purr-fect addition to any jewelry collection.